For as long as I can remember I've never really been one to be body positive. Looking back on photographs I was never really that big, but I got bullied a lot for my looks. Of course, that's going to make anyone have doubts and I became one of those teens who constantly needed approval. I needed to know that others thought my hair looked okay, that my outfit was flattering, that my makeup looked alright. I'm finally starting to feel much more confident in my own skin, and it's such a weird feeling. As cheesy as it sounds, I honestly believe that being confident in yourself starts with at least liking yourself. Mental illness made me hate myself; I considered myself to be worthless and I didn't really care for my body at all. When I started to recover I began to accept my body for what it was, but I still wasn't being that nice to myself, I just told myself that it didn't matter. It sounds so vain to say that I spent a good few years going between thinking that how I looked was the most important thing in my life and the least important thing. I don't really know when this changed for me, but I started to make sure my hair and makeup looked nice every day and I wanted to make an effort with my outfits. Subconsciously I made a uniform for myself of leggings and oversized t-shirts. Don't get me wrong, I still love me a good pair of leggings and slouchy tee, but it got to the point where I was almost scared to try anything else. It was like I only felt good in my security blanket outfits. Although I wasn't hating on my body anymore, my body confidence shattered. Around 6 months ago I decided to get serious about weight loss, and I have to say for me it really helped to boost my confidence. Again it sounds so shallow, but eating healthily and taking good care of my body made me like it much more than I ever had done before. I'm so much happier in my body that it doesn't matter that I'll never be taller or that my hips are naturally wider, I'm just happy as I am. It still feels pretty weird to have this boosted confidence, I no longer feel I can't wear certain styles because they're out of my comfort zone and I actually enjoy deciding what I'm going to wear. I love that I have an hourglass figure, I love my curves, and I've been loving experimenting with things I never would've given a chance too. 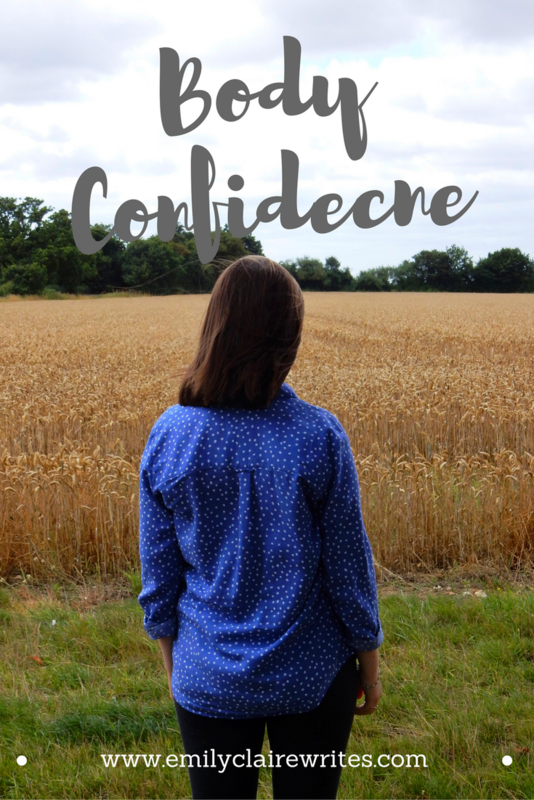 Yes, confidence is a personal thing and that's why finding your own is a personal thing too. For me it did involve a change, but that change was entirely for me and decided by me being in a mentally strong place. It might just be a case of finding your style. You do you. Thanks to my boyfriend for taking the photos for me!